Equipped with 46 needles, Addi Express knitting machine allows creating knitted clothing in no time. A digital row counter prevents mistakes to ensure the perfect results. It might be a bit difficult to knit with bulky/fancy yarn. 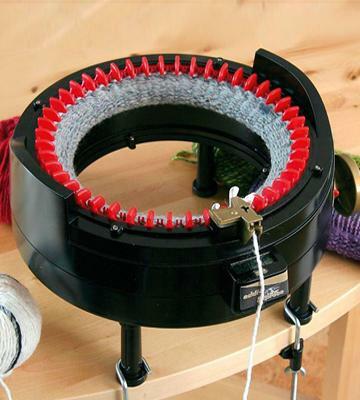 Easy to set up, this user-friendly knitting machine has ergonomic clamps for fastening to a flat solid surface. Being user-friendly and portable, the Addi Express is the perfect choice for hustle-free knitting! Owing to a thought-out design, Prym MIDI knitting machine will stay stable on your table without any fastening. It makes knitting a breeze. There is no row counter. 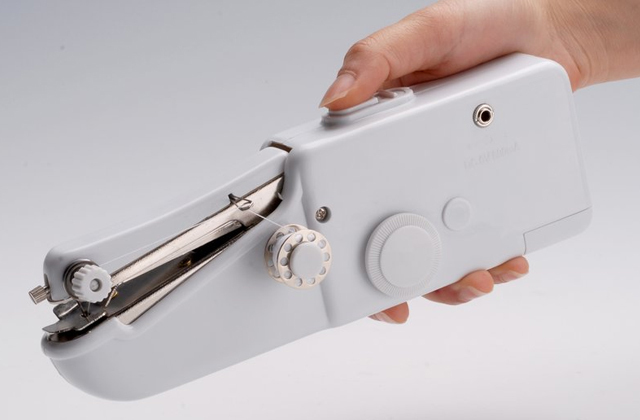 As functional as it is, this portable knitting machine has a comfortable carry handle. It is a wonderful gift idea for those who appreciate knitting and always take it with them while traveling! 10.2" x 8.4" x 8.2"
With its durable needles and user-friendly design, Caron Knitting Machine will help you make beautiful I-cords in minimum time! Can't be used for knitting with too bulky yarn. You can knit I-cord for creating appliques, macrame, knots, straps, and bag handles. This knitting machine is the perfect choice for those who appreciate creating beautiful things to complement their image and interior. 11.2" x 3" x 6.5"
A winning combination of thoughtful design and high-quality materials makes Addi Express knitting machine a wonderful choice for creating beautiful projects. It may take some time to get used to this machine. Owing to a comfortable design and black needles that mark the beginning of the row, the item allows for circular and flat knitting. 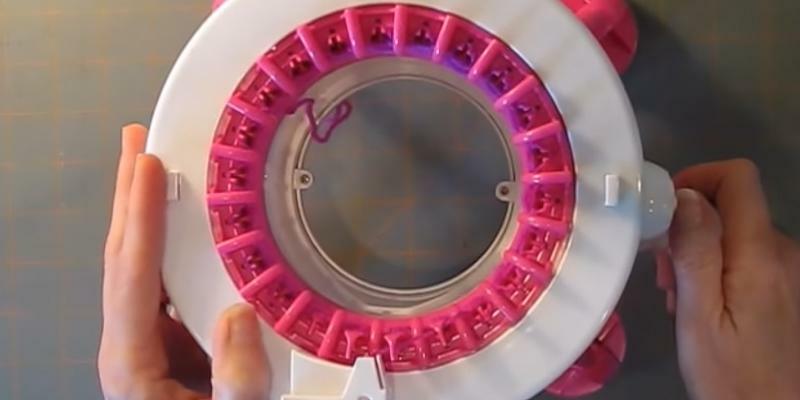 This portable knitting machine is the perfect choice for professionals. 9.1" x 5.9" x 9.8"
Easy-to-follow instructions, as well as included knitting patterns, will make knitting a pleasure. Even your 8-year kid will be able to create cute pieces of clothing! The model is a bit unstable. An eye-catching and user-friendly design of NKOK Singer knitting machine will inspire you to make beautiful clothing. It is also a wonderful choice for young knitters! 11" x 5.8" x 8.5"
Knitted things are always in fashion. In addition to common caps, sweaters, and scarves, you can find trendy knitted pieces of clothing like swimsuits and tops. Moreover, cute knitted things are usually used as elements of décor that add a dash of coziness to the interior. 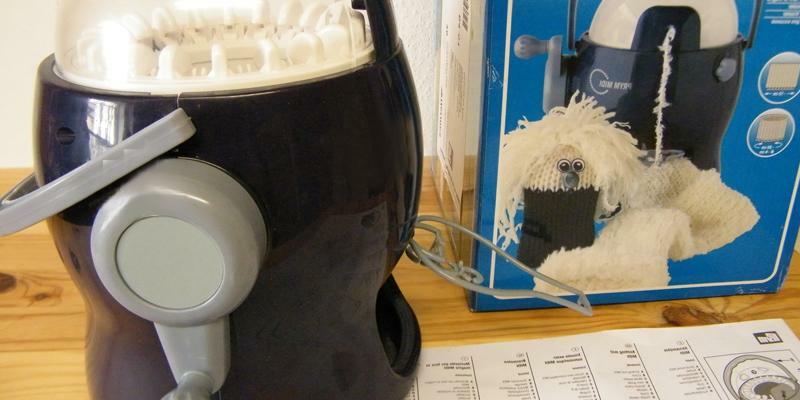 Get Addi Express King Size Knitting Machine, and start to create smart knitwear right at home! With 46 needles (43 white and 3 black to mark the end of the row), knitting will be a breeze. Note that this user-friendly device is easy to mount on your table and it will stay stable there thanks to reliable clampers. 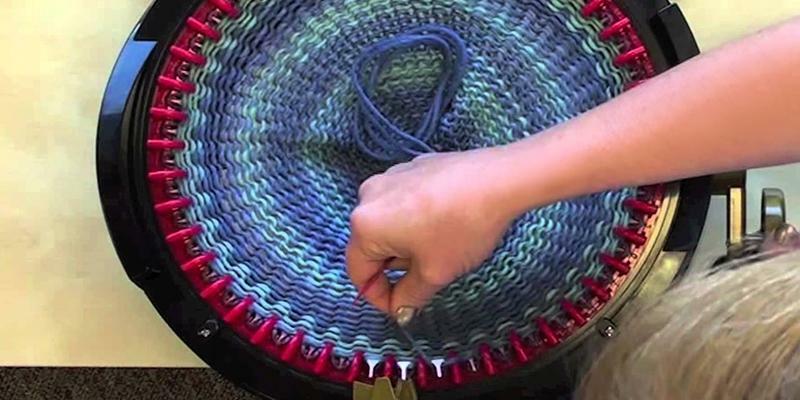 The device ensures hustle-free circular, flat, and multicolor knitting. Moreover, the Addi knitting machine is equipped with an ergonomic raw counter. It will help you create perfect one- and multicolor pieces with no fuss! The Selter is a German family company. It is renown for the highest quality of its knitting needles, accessories, and devices, including an Addi Express King Size Knitting Machine. Selter is one of the biggest knitting supplies manufacturers in the world. It has been creating the best quality products for six generations to help users enjoy both the results and the knitting process itself. 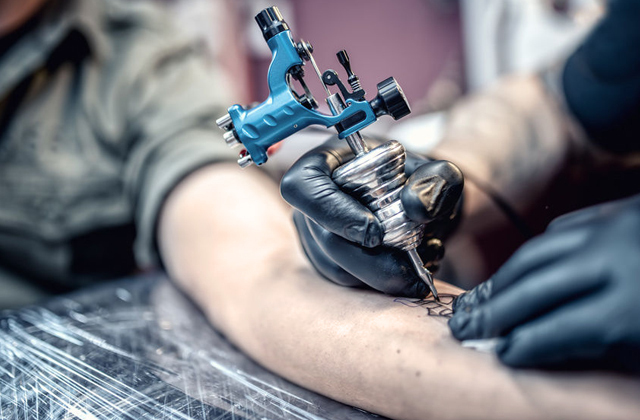 Believe it or not, the first company products were homemade needles and crochets. In 1829, G. Selter left his father's house and moved to Altena with his family. There he started the production of his first knitting items for German and other markets. Forty years later, the company already boasted 200 kinds of needles. 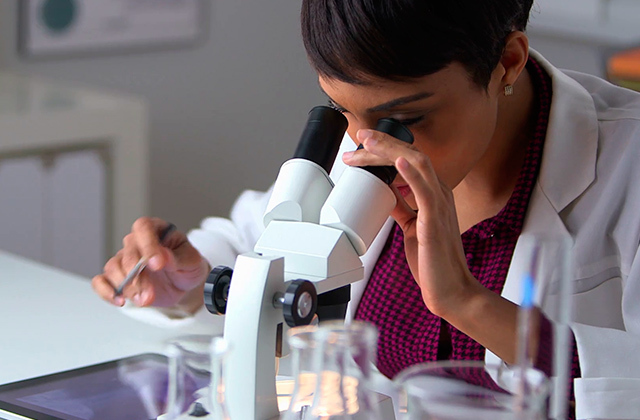 The secret of its success is continuous experimenting with materials, innovation in engineering and design. As a result, the highest-quality Selter products help knitters all over the world create wonderful handmade clothing. If you love wearing unique pieces of clothing, why not to try to make them yourself? To create stylish and beautiful decorations on your clothing, consider buying an embroidery machine. What is the best way to while away some time on trips? 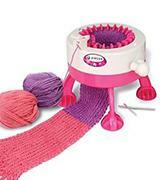 Use your time wisely and enjoy every minute of a journey, knitting on this compact Prym MIDI Knitting Mill Machine. Weighing only 2.2 lbs, this wonderful portable device with an ergonomic lid will help you fill in time by creating one-of-a-kind pieces of clothing. The item allows flat (10-16 cm), circular (Ø up to 20 cm), and multicolor knitting. 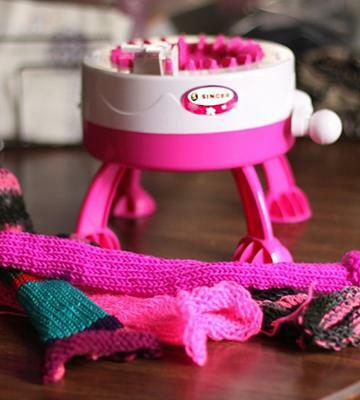 With this user-friendly knitting machine, you will make a warm hat or mittens in no time. 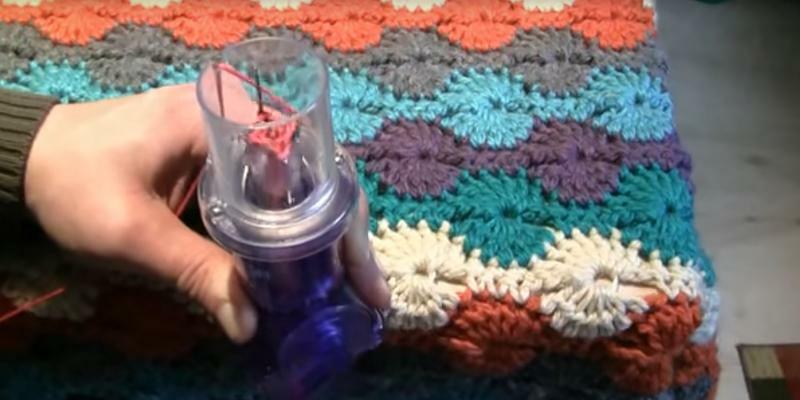 The device works with most kinds of yarn used for hand knitting (sizes 2-6). Please note that required thread tension depends on a yarn type. A comfortable switch allows for an easy knitting mode adjustment. The Prym MIDI Knitting Mill Machine boasts a high knitting speed: 0.22 lbs of yarn (run length of 459 yds) in just 15 minutes. These days almost everyone has a few knitted pieces of clothing, like jumpers, caps, cardigans. Lovingly handmade cushions, throws, rugs, and other knitted home accessories can add a feel of coziness and warmth to any place filling it with a special homey atmosphere. Have you ever asked yourself when and why the knitting first appeared? What was the reason? Who are those people who stand behind the invention? Let's discover together. The first stocking frame knitting machine was created in England in 1589. William Lee, a curate, invented the device to help his dear lady, who had to spend a lot of time knitting, facilitate that job. However, at the time, Queen Elizabeth I refused to give him a patent. She admitted that too many people, who made their living knitting, would become beggars because of the invention. It was the Henry IV of France, who granted a patent so that William Lee could finally start a stockings manufacturing. An interesting fact! The world record was set in September 2012 in London: 3083 people knitted simultaneously for 15 minutes. 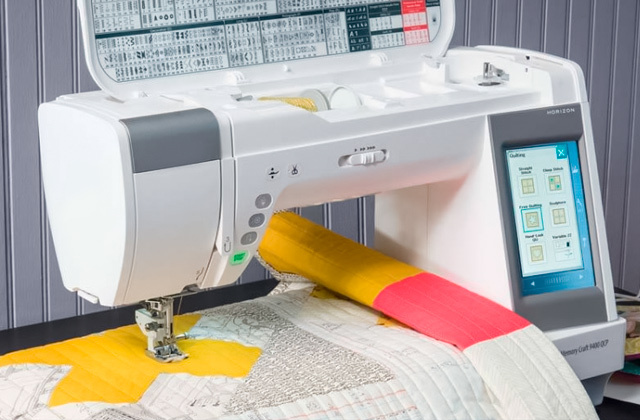 Enjoy creating one-of-a-kind comforters and garments using a quality quilting machine. In our fast-paced world, handmade clothes become more and more popular. One of the ways to create smart clothing is to embellish it with knit cords, and Caron Knitting machine will help you make these cords unbelievably fast. 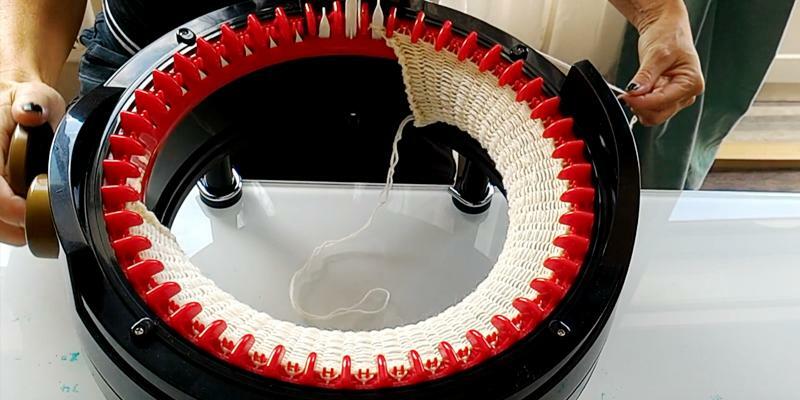 Just turn the handle to have the job done: this machine knits an 18' cord in just 10 minutes. You can use finer yarns, such as cotton, alpaca, acryl, and mohair. In addition, the item comes with tapestry needles, a weighted clip, a practice ball of yarn, and color instructions. 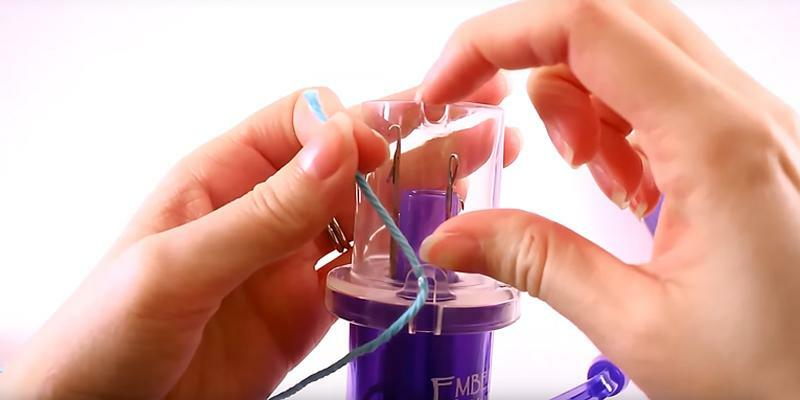 So, this functional device will help you make cords for trims on your clothing. You can also create beautiful appliques, purse handles, sweater braids, and much more! The Caron Knitting machine is an awesome device that helps give a zest to any knitted thing. Here are some interesting ways how to use an I-cord and create unconventional pieces of clothing. First of all, it is a wonderful gift embellishment. For instance, you can make a shamrock leaf applique for St. Patrick's day, or a heart applique for St. Valentine's. Making a Christmas tree decoration with all your family members is a wonderful way to spend an evening that you and your children will remember for years! Spiraling knit macramé plant hangers around the place can also add to the homey atmosphere. 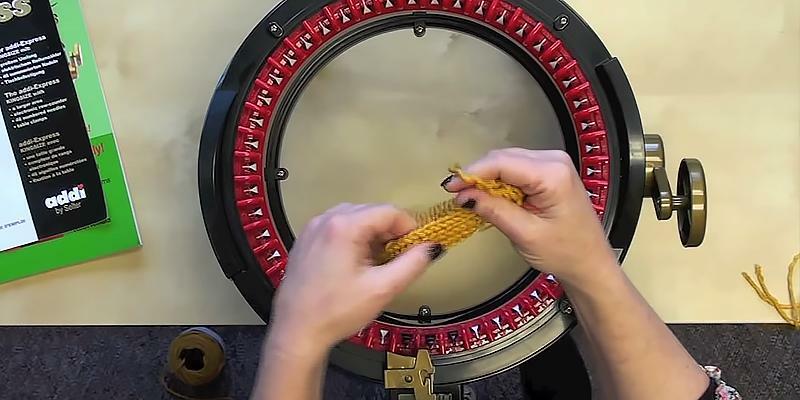 If you love music and want to prevent your headphone cables from being tangled up, a cord made with the Caron Knitting machine is an unexpected yet effective way to solve this problem. Make your home cozier and even more comfortable by using knitted hot pads, chair pads, and rugs. Finally, you can knit cords for creating bright accessories. Handmade bracelets, necklaces, headbands, belts, and ties will help compliment your image! 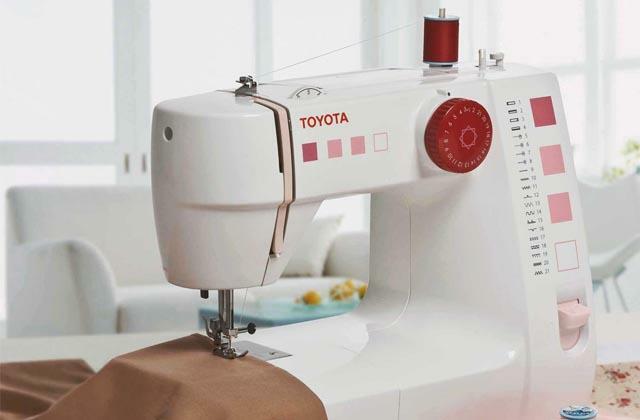 With a quality overlock machine, overlocking stitches and enclosing raw edges will be a breeze. The Selter is a German company manufacturing highest quality knitting equipment for more than 180 years. No wonder its products are well known and appreciated all over the world. 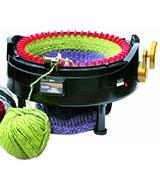 The Addi Express Professional Knitting Machine boasts the highest quality and ease of use. 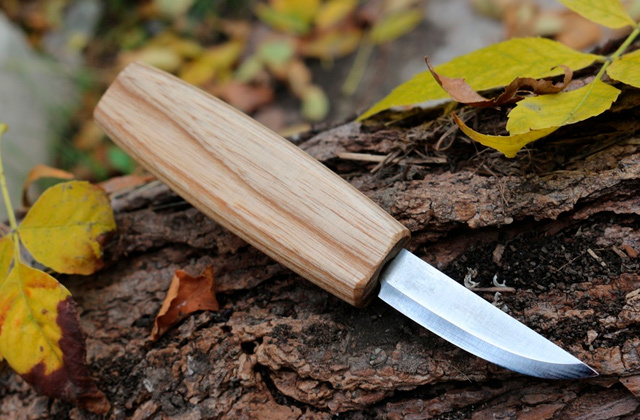 It has a base with 22 needles and an ergonomic crank. 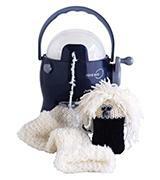 Additionally, the item is equipped with a comfortable yarn holder for proper knitting, a row counter for the best precision, and an operating switch for choosing between a circle and plain knitting. 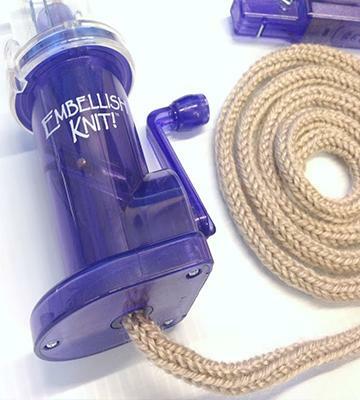 Most knitting machines are made of durable plastic, and that is why these portable lightweight devices boast quite a moderate price. However, you should consider the best yarn type for each model. The Addi Express Professional Knitting Machine works with almost each kind of yarn, though, recommended thickness is 3.5 – 8 (American # 5 – 11). A sturdy construction and intuitive operation of a knitting machine ensure the fastest results. 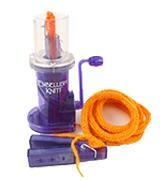 You will surely enjoy knitting with this wonderful device, it is easy to use even for a kid! Nobody knows for sure when exactly knitting was invented. According to some ancient Egypt pictures and other findings, knit clothes were worn as long ago as XIXth century BC. Jersey jumpers, twinsets and evening dresses first came into vogue in the 1920s thanks to Coco Chanel. In 1950, sweaters and cardigans were both in fashion magazines and almost in every wardrobe. It was hard to imagine a party without a lady wearing a jersey cocktail dress. Vivienne Westwood and Sonia Rykiel knitwear collections (1980) have proved that knitted fabrics can be used to create fantastic images. Grange style fashion that appeared 10 years later, gave sweaters and other wear a new shapeless look. Knitting became a popular hobby even among celebrities. Today, it is hard to imagine a fashion show without unconventional knitwear that boasts various colors and shapes. You can knit all kinds of clothing, like ponchos and oversized sweaters, mittens and caps, headdresses, and even swimwear. 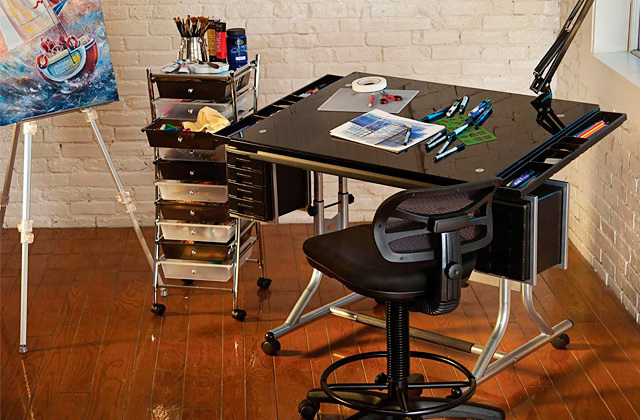 With a user-friendly craft table, it is easy to organize your working place. Children love playing and making clothing and accessories for their dolls or other toys. Some parents help their kids create colorful doll garments. Most people and more so kids appreciate hand-made things. 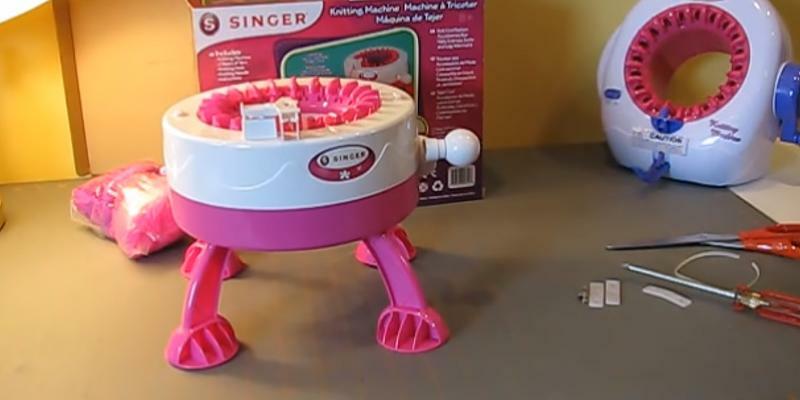 If you are looking for a device that combines high quality, ergonomics, and a stylish design, the NKOK Singer Knitting Machine is just what you need! 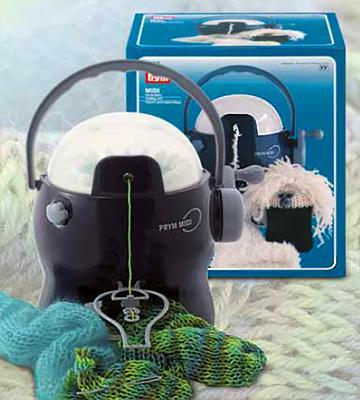 The model has 22 durable needles that allow creating wonderful knitted things. Besides, an easy-to-follow instruction and a project manual with important knitting tips will help you make a variety of garments. Owing to an intuitive operation, your children will be able to knit a scarf or a colorful hat just like that! Ease of use and eye-catching design will inspire your kid to create beautiful things from the earliest age. Almost everyone has got a knitted scarf in a wardrobe. This small but incredibly useful piece of clothing can provide the needed warmth and coziness that we all so longer for in winter, at the same time adding more charm to our appearance. When hippie movement appeared, the demand for neutrality, lightness, and comfort increased the popularity of scarves even more. An easy-wearing bright multilayer clothing of light fabrics came in fashion in the 1960s. And so, it's not surprising at all that for many people knitting smart and fashionable clothes has become not only a job but an enjoyable hobby. Today, this stylish accessory is made from a variety of materials. You can create both classic and unique clothing owing to the variety of knitting patterns on the Internet. Follow the trends and create your garments in tune with a season fashion. Create unique prints on your clothing with a T-shirt press machine! A knitting machine is an ergonomic device designed for creating smart knitted clothing and accessories. You can knit garments of any color, size, and style, such as sweaters, scarves, mittens, hats, and socks. Knitting machines allow producing clothing much faster than you'd do knitting in a conventional way. So, if you love the idea of making one-of-a-kind smart piece of clothing, look through our sewing machines review. 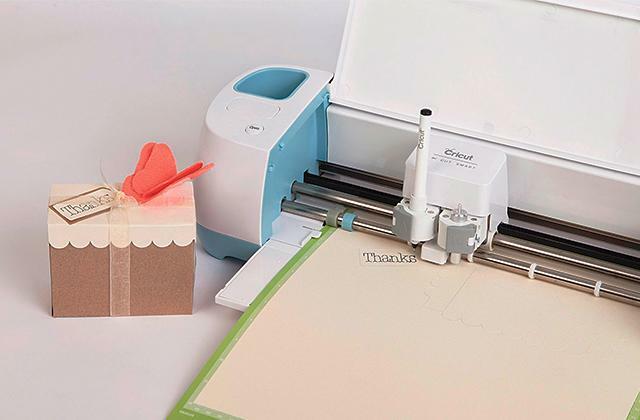 Some other device you may get interested in, in order to make your garments even more beautiful, can be found in our other review on the embroidery machines. 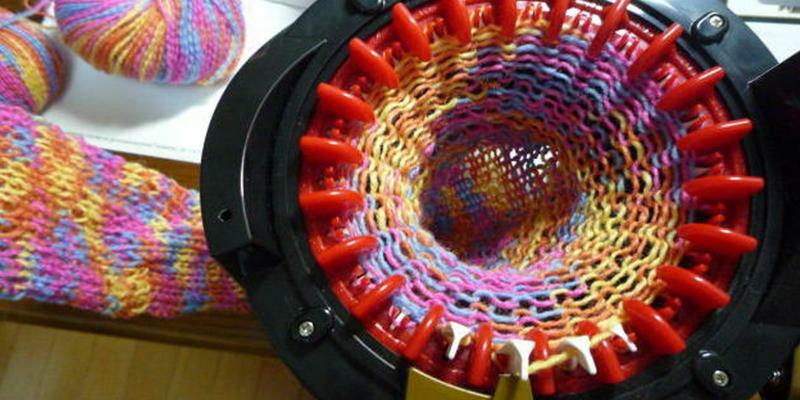 The first thing you should consider while choosing a knitting machine is its Capabilities. 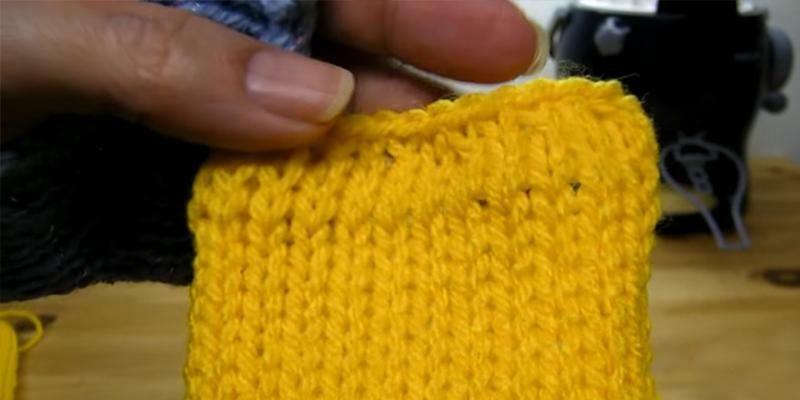 The more functions your device will have, the easier it will be to create knitted clothing. There are a few classifications of knitting machines. 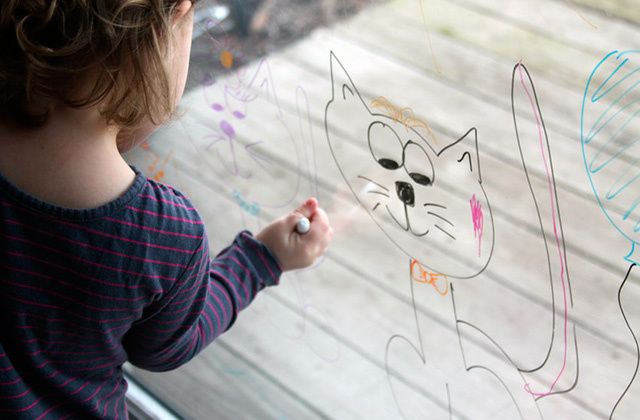 They can be manual, punch card (help create the desired drawing), and electronic. High capacity machines allow knitting garments in minimum time. Electronic knitting machines have special software to adjust knitting and garment shapes. There are also different types according to a knitting machine's gauge. If you are going to make a chunky scarf, consider buying a chunky machine (needles are 8-9 mm apart from each other). 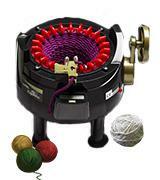 The most versatile and highly recommended for hand knitters is a mid-gauge (6-7 mm) knitting machine. A standard gauge (4.5-5 mm) device is perfect for knitting commercial grade fibers. Fine gauge knitting machines (3.6 mm between thin needles) allow creating clothing of finest yarns. The Needles Number. Some models have an adjustable distance between needles for knitting clothes of various design, size, and density. 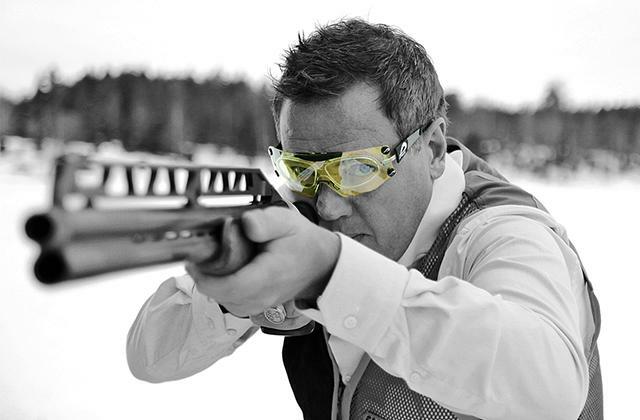 Most models are equipped with a row counter that will help you accurately follow the pattern. One more thing to consider is the model's Size and Weight. 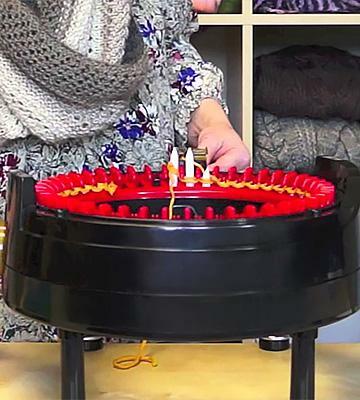 Portable knitting machines are used at home to create unique clothing for you and your family. Large professional knitting machines are usually purchased for commercial use. 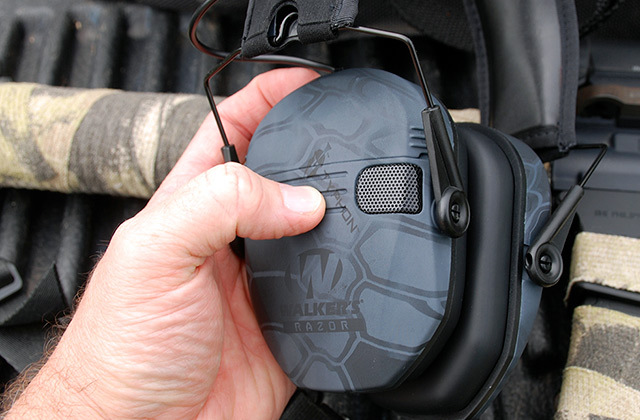 Do not forget about Extras included by manufacturers. Along with the instruction, knitting machines usually come with replacement pins. Sometimes there are other items included, such as a tapestry needle, a weight clip, a practice ball of yarn, and product patterns. 1. What is a Knitting Machine? wiseGEEK. 2. How do I Choose the Best Knitting Machine Patterns? wiseGEEK. 3. Knitting machine, LinkedIn. September 29, 2015. 4. The history of knitting in America, LoveKnitting. July 1, 2016. 5. How to Choose Knitting Yarn, wikiHow. 6. History of knitting, Wikipedia. July 2, 2016. 8. Lisa Gutierrez Fiber Forever! A Discussion About the Fibers in Our Yarns, Craftsy. April 27, 2014. 9. 25 Creative Projects Using I-Cord, FeltMagnet. August 2, 2016.